From December 6th to 9th 2018, in Pinta Art Fair, one of the most importants art fairs in Miami, a special exhibition will be shown to honor the legacy of an outstanding Venezuelan: Sofía Imber. Curated by Maria Luz Cardenas, Sofía Imber: The legacy, is a tribute focused on the essential contributions of this great Venezuelan woman to the arrival of modernity in her country, to her contributions in journalism and the institutional development of culture in Latin America. The ideals and values that inspired her work as well, also a tribute to her strength in the struggle for freedom and democracy, all of which make her an exceptional Venezuelan and Latin-American personality. 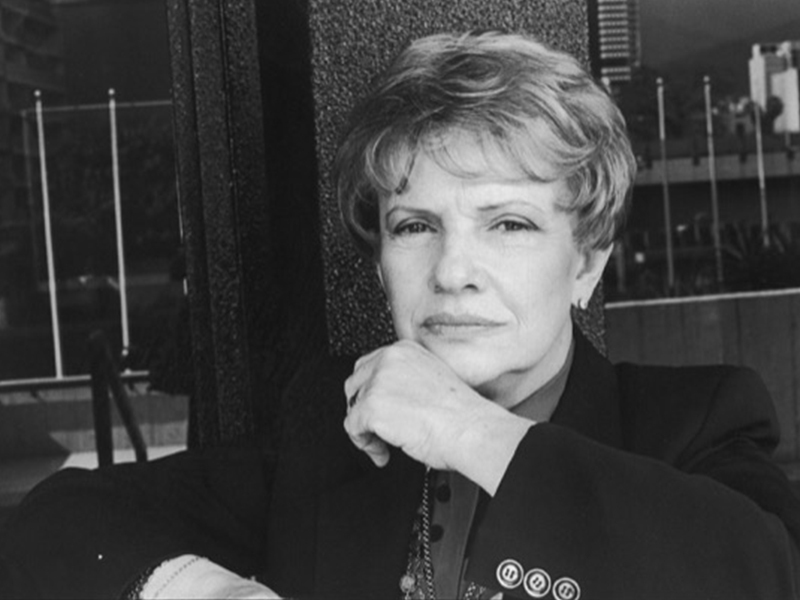 The exhibition itinerary indicates, first of all, the quality of the works of her Collection linked to the production of artists of fundamental importance in 20th century art; secondly, her contributions to television and editorial journalism and, thirdly, the creation and growth of the Sofía Imber Contemporary Art Museum. The exhibit also includes the launch of www.MACSI.org a special project of Arts Connection Foundation to preserve Sofia Imber legacy. The work of Sofía Imber is remarkable in the promotion of modern art in Venezuela, especially because of the contact between artists in the formation of her own collection and projection of artists such as Jesus Soto, Auguste Herbin, Vasarely, Fernand Léger and Alejandro Otero among many other. ”The very important number of my works in Venezuela has a very close relationship with Sofía Imber. A mural of mine called Sophia, in the University City, is a recognition that I wanted to render to her capacity to promote the arts, which was later reflected in that great Museum of Contemporary Art ” Víctor Vasarely. In Journalism, her invaluable contributions include her participation in the founding team of CAL Magazine (Criticism, Art, Literature), the Good Morning (Buenos Dias) TV Program and the leadership of the Cultural Pages of the newspaper “El Universal”. CAL magazine, during the sixties, conjugated the latest Venezuelan literary and artistic avant-garde in its highest aesthetic display. CAL is legendary, its influences remains to be valued. 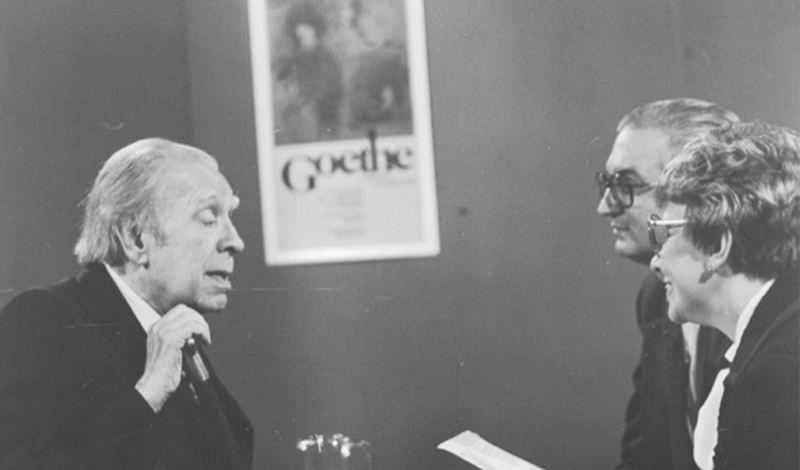 It was a complete experience of integration of the arts and thought, the work of a team formed by Sofía Imber, the writer Guillermo Meneses and the work of graphic designer Nedo, under the production of Hans Neumann. Good Morning (Buenos Días) with Carlos Rangel, was a pioneering experience for public opinion programs on Venezuelan television. It was an unprecedented experience and during its years of diffusion it contributed considerably to the consolidation of the debate of ideas. Carlos and Sofia marked a before and after in the field of communication in Venezuela. With the creation and development of the Museum of Contemporary Art in Caracas, the contributions of Sofía Imber skip the scales. In 1972, when she was summoned by the Simon Bolivar Center for the operation of an “exhibition space”, she was determined to provide Venezuela with a museum institution of the same quality level as the best art museums on the planet. With the creation of the Museum, the institutional vision in the country was changed. This meant working for culture as never before in Venezuela. The Sofia Museum became an open museum paradigm, a pioneer in social programs, linking the institution with participatory communities. The MACSI Collection is legendary, its edges of meaning, infinite possible readings, behavior, relationships between the works and their quality make it an inexhaustible process and, also, different from the collections of normal museums. Her development -responsibility of Sofía Imber- was assumed from the first moment as a creative act, an open work that did not depend on the canonical classifications of movements, styles and periods, but on the importance, quality and value of each piece. which allowed an incessant dynamism in the relations between the works. Sofia was able to go to the artwork, hitting the selection thanks to her sharp eye and a devouring vision of the best. More than attending to chronological movements or styles, its growth obeyed the criterion of piece by piece. The website, Sofia Imber Museum of Contemporary Art (1972-2001): The Different Museum (www. MACSI.org), is a project of Arts Connection Foundation within I AM MONUMENTS and I AM Venezuela platforms to preserve the legacy of Sofia Imber as intangible heritage of our beloved Venezuela.